A well-toned, ripped physique, a very handsome look, and promising acting skills: This young man always cuts a fine figure in front of the camera. Corey Cann is new to the world of modeling but has already been well received by movers and shakers in the fitness, commercial and entertainment industries. He is currently enrolled in acting school and has already landed some gigs in both modeling and theatre. You find many high quality photos and videos of Corey Cann here on AllAmericanGuys. His body is sculpted to the max and truly winning: Bodybuilder Pavel Samek is Czech Champion 2012. The athlete shows how he builds his massively muscled, well-defined and perfectly proportioned physique, and poses intensely for many new high quality galleries and videos published here on CzechYoungMuscle. A bodybuilding vice-European champion shows how he builds his winning physique. Successful, young competitor Vitek Sahula demonstrates his comprehensive workout and contest preparation in new high quality galleries and videos on CzechYoungMuscle. The imposing result of his training: serious muscle mass, striking definition, perfect proportions. You find Vitek's galleries and videos here on CYM. A growing body of evidence supports the benefits of exercise as cancer therapy. Numerous studies have examined the relationship between exercise, cancer recovery and quality of life. The findings are positive and extremely encouraging. Many studies have followed cancer patients who added exercise to their treatment plans. These studies have included patients and survivors or breast cancer, prostate cancer, colon cancer and more. Generally, exercise had a positive effect on their physical and mental health throughout the treatment phase of their disease. 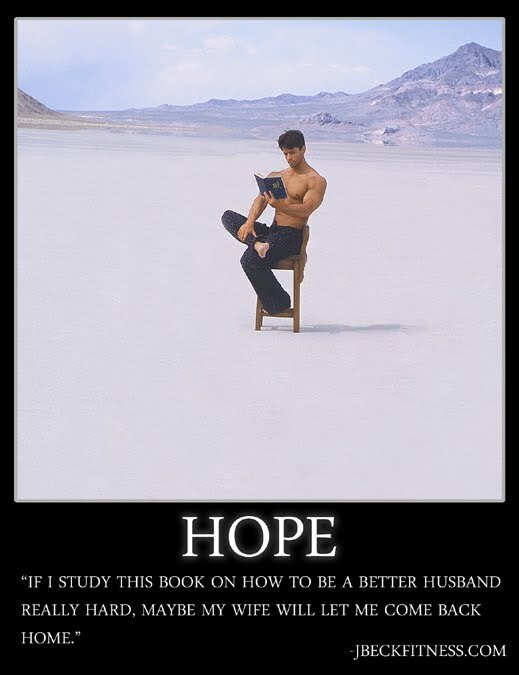 Continued research seems to confirm the earlier findings. Physically active cancer patients report more energy, less nausea, lighter moods and a better sense of control during powerful treatments like radiation and chemotherapy. They are typically stronger and leaner, have lower heart rates and enjoy better functional capacity than sedentary cancer patients. Active patients experience positive psychological changes like fewer mood disturbances, less anxiety and stress and better sleep quality. In fact, the psychological differences between active and sedentary cancer patients are the most notable differences. This is important, because good mental and emotional health are essential for recovery. Even patients with advanced cancers benefit from the positive outlook that exercise promotes. 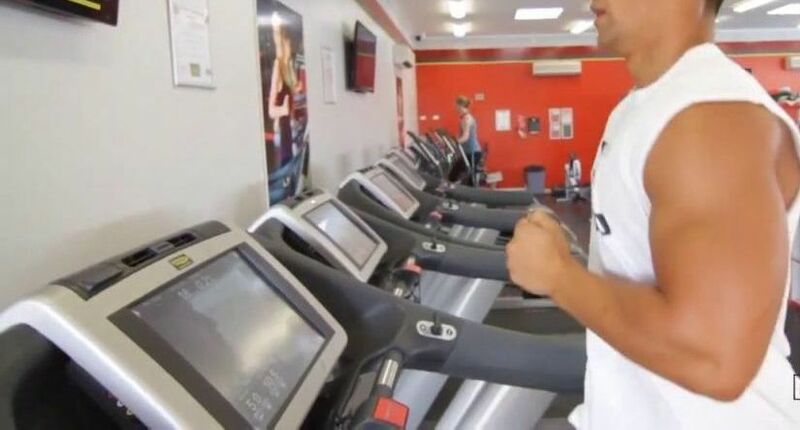 Regular exercise enables patients to cope with the stress of cancer. It enables them to tolerate treatments and look toward survivorship. Some patients are unable to exercise. People enduring treatment for mesothelioma cancer, or those battling other advanced diseases, are often bedridden. Doctors usually advise them to rest. Many people, however, can manage at least a little movement. For most patients, exercise is excellent complementary therapy. Exercise cannot cure cancer, but some patients call it a wonder drug. Many medical doctors and holistic practitioners agree. Exercise should be a regular part of a comprehensive cancer treatment plan. Doctors and professional trainers can tailor cancer fitness programs to individual needs and abilities. The intensity and duration of exercise naturally progresses as fitness levels improve. Most cancer patients can exercise from the day they are diagnosed with their illness, and doctors should encourage them to do so. Physical activity goes a long way toward managing treatment side effects. As patients complete their final rounds of chemotherapy, exercise helps them handle the long-term side effects of treatment and recovery. The Centers for Disease Control and Prevention, better known as the CDC, recommends two hours and thirty minutes of aerobic activity every week. They advise strengthening exercises at least twice a week. If 150 minutes seems like too much exercise, patients can break up the time into shorter segments spread throughout the day. Ten-minute increments are a good place to start, and the duration will increase naturally in time. Is exercise really a wonder drug for cancer? More research is needed for specific cancer and treatment types. However, the majority of health professionals now encourage exercise as good cancer therapy. While patients should use caution and always get their doctor’s approval, exercise offers few risks and many benefits that extend well beyond cancer. About the author, David Haas: Joining the organization in 2011, David Haas is a cancer support group and awareness program advocate at the Mesothelioma Cancer Alliance. In addition to researching the many valuable programs available to our site’s visitors, David often blogs about programs and campaigns underway at the Mesothelioma Cancer Alliance, as well as creative fitness ideas for those dealing with cancer, while creating relationships with similar organizations. His arms measure 19 inches, now Mischa Janiec shows how he builds them. 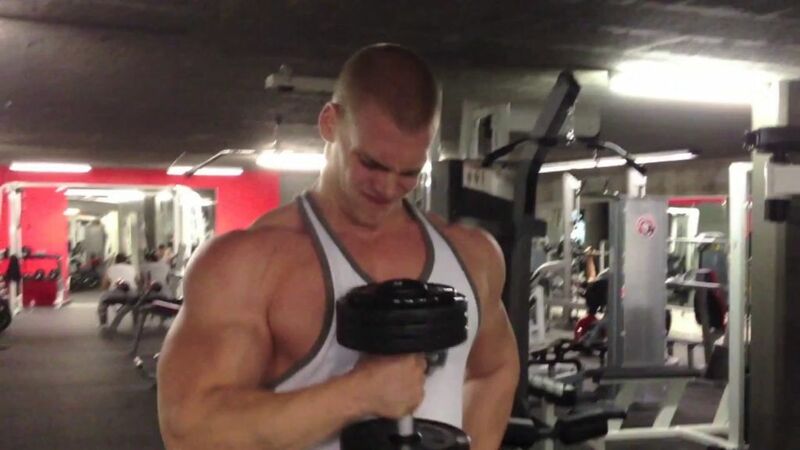 Surprisingly the 21-year-old natural bodybuilder says that he does not have a strict routine for his arms. "My arms grow faster than my other body parts. I have never really focused on them. For my biceps I do only four sets a week." In this video Mischa demonstrates his most important and effective exercises for bicep and tricep, as always with much dedication and with the last of his strength. And once again he shows that serious muscle gains with high definition can be achieved naturally. Fitness, fun, philosophy: This is Jeffrey Beck's very special mixture. 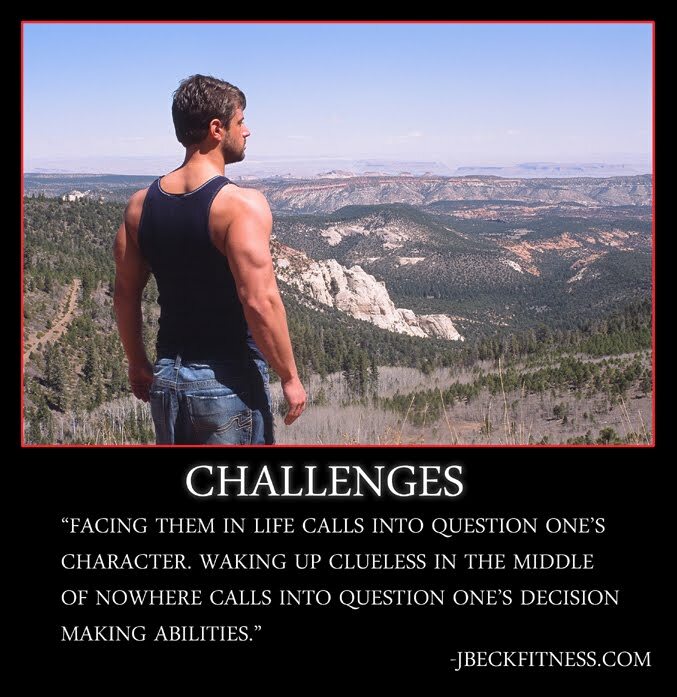 In case Monday is your hardest day for motivation, the fitness model and personal trainer has launched a new series on his website www.jbeckfitness.com. 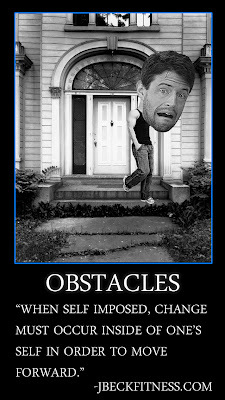 The segment is called "Monday Motivational", and is a combination of images and some personal, wise and witty lines. This is not only a motivation for getting in shape and staying fit, but also for managing life. And sometimes it is simply funny. Also new: a deadlifting video. Motivation expert Jeffrey says: "It's short so there is no excuse not to watch it." 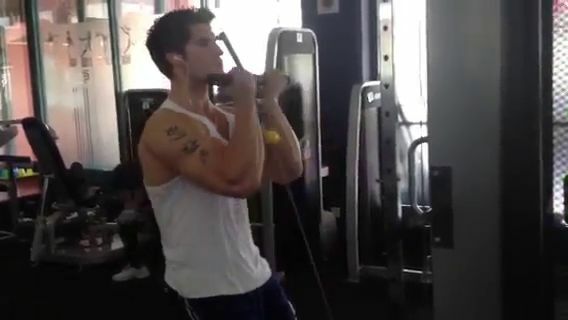 His biceps seem to burst when he works them. It is highly exciting and motivating to watch Jim Weir training in the gym. 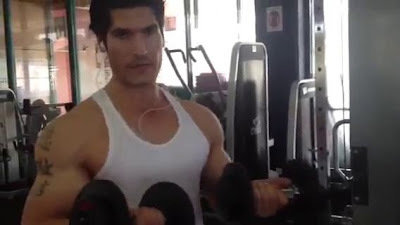 In many new videos on AllAmericanGuys the rising fitness model demonstrates his comprehensive upper body workout with a wide range of exercises for biceps, triceps, abs, chest and shoulders, always giving his all. And when he poses and flexes, the effectiveness of his training becomes evident and is overwhelming: stunningly swollen and well-defined muscles. You find many high quality photos and videos of Jim Weir here on AllAmericanGuys. 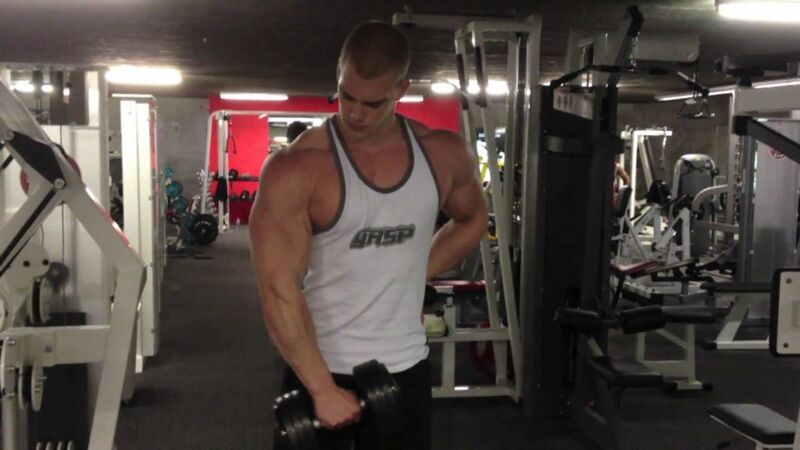 A big man training with big numbers: In these videos bodybuilder and wrestler Tyler Garceau shows how he builds his imposing size, and performs three exercises, each of them with heavy weights. His stone-hard washboard abs and his well-toned upper body are only some of his many specialties. Taylor C. is a spontaneous, athletic and fun-loving kinda guy. He's a part time college student and recently started modeling. All American Guys secured his first gig with the Undergear brand, so you can see more of him in their Spring/Summer 2012 catalog. He is definitely not shy about showing off his lean muscular physique. Taylor enjoys going out with friends, working out at the gym, fishing, 4-wheeling, camping and jet skiing. 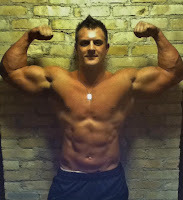 He is working on packing on more lean muscle as he prepares for a future fitness/physique competition. You find many high quality photos and videos of Taylor C. here on AllAmericanGuys. 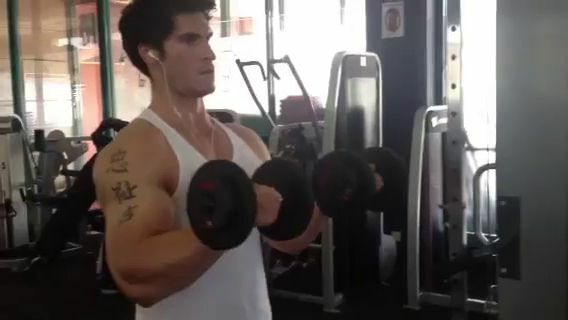 How stunningly big, bulging biceps are built: In this video bodybuilder and top fitness model Jamie Alderton demonstrates "7 Set Shutdown For Biceps", and recommends: "Try this as your last bicep exercise by yourself or alternating with a partner and really feel the burn and the pump!" Every inch of his body is well-toned and extremely muscular. 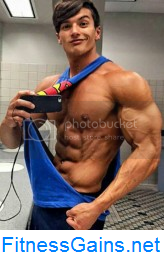 Rising fitness model Jim Weir demonstrates how he builds his imposingly ripped physique and poses for many new high quality videos and photos published here on AllAmericanGuys. Athletic, artistic, philosophic: His wide range of passions and skills is highly impressive. Jeremy Y. comes to AllAmericanGuys from the state of Florida. 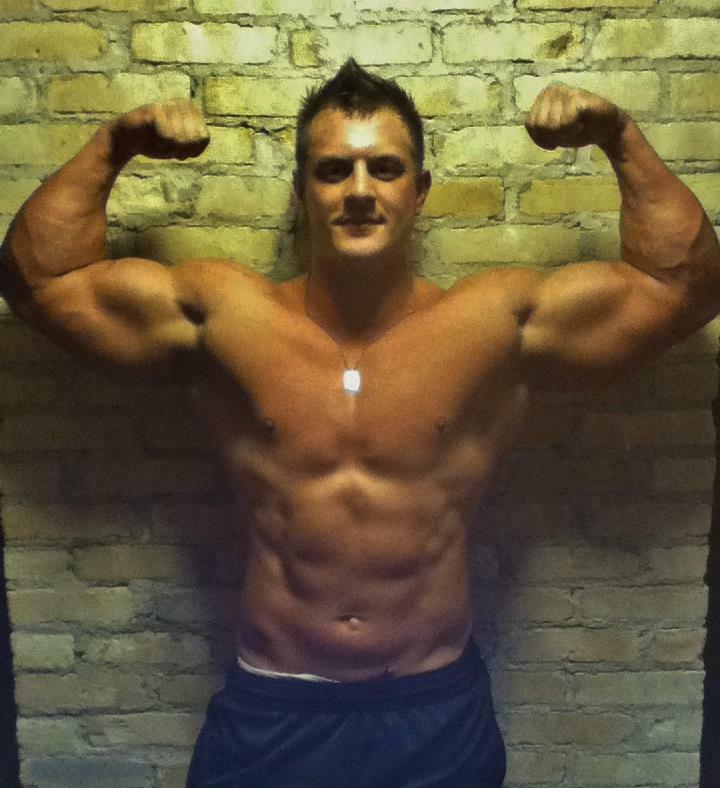 He's an aspiring fitness model and personal trainer. Here's what Jeremy has to say for himself in his own words: "I will be 21 on April 25th. My hobbies are mountain biking, snow boarding, hiking, the outdoors, working out, painting, playing guitar and singing in the shower. I love to learn about the body, I love to shoot guns and target practice; I like martial arts, wrestling, love to cook, love to play sports-- basketball, baseball, football, you name it-- I'll play it. I am a personal trainer and I am almost finished with my associates degree. I strive to be the best in everything I do. I hate failure but I realize there is failure in everything. It is a part of life. 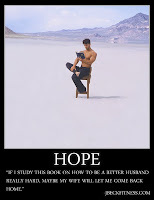 We must gain composure and learn from our mistakes. I love this world and everything it offers. I try to see beauty in everyone and treat everyone as I would want to be treated. I have a fun loving and charasmatic character; outgoing and I don't care what others think. I am who I am and thats about all." You find many high quality photos and videos of Jeremy Y. here on AllAmericanGuys. A passionate, young bodybuilder and his winning physique: Vitek Sahula, born in 1991, started training at the age of 14. Soon he took delight in contests. At 15 he entered the Czech Teenager Championship where he placed second. In 2008 he was the overall winner of this competition. In 2010 he was placed fifth at the Junior World Bodybuilding Championship in Turkey. His latest success: Vitek is vice-European champion after winning the silver medal at the Europe Junior Bodybuilding Championship (category classic open) in Spain. Now he demonstrates on CzechYoungMuscle how he builds his impressive physique: his serious muscle mass, his striking definition, his perfect proportions. 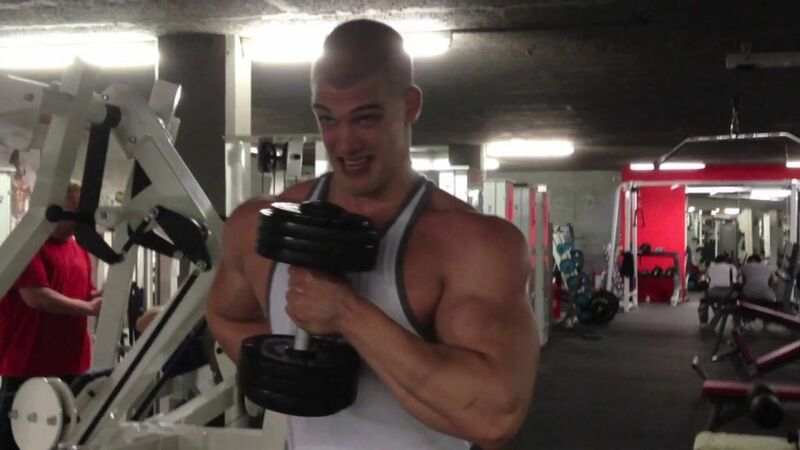 You find high quality galleries and videos of Vitek Sahula here on CzechYoungMuscle.